It’s easy to assume that with the right book, a few good birth films, and some long hours of research with “Dr. Google” that you’ll feel prepared for the birth of your baby. But nothing beats attending a childbirth or parenting preparation class live, and in person. Being able to ask questions and get answers from an expert in real time is invaluable. Practicing tools that increase your ability to cope with contractions gives your body the “muscle memory” it needs for when labor begins. Learning what the normal challenges are in moving from two to three (or more) can set you up for success and create a family that thrives. Recognizing that you aren’t the only ones who feel this way, can be reassuring and calming. You might even end up creating a community with friendships that last forever! Saying yes to the huge life transition of becoming a parent can be overwhelming and you can end up feeling isolated and vulnerable. But there are lots of ways I can help you feel better prepared for your own, unique and very personal journey toward becoming a parent. Class descriptions, registration links and work calendar are listed below. If you can’t find a date that works for your schedule, private classes are an option. Contact me for more information. I’m a Health Educator certified with Lamaze International (LCCE) and a Fellow of the Academy of Certified Childbirth Educators (FACCE). For close to twenty years, I’ve had the honor of teaching thousands of families. I’ve had the real-life experience of supporting women and their partners in labor, and I’ve also given birth to four babies of my own. My childbirth preparation classes are based on the Six Healthy Birth Practices of Lamaze — which means you can trust that what you’re learning is current and evidence-based. My personal philosophy is to provide unbiased information so that you can be informed of all of your options and learn how to partner with your provider and other members of your birth team in a model of shared decision-making. I believe it’s possible to have a positive birth experience no matter how your birth unfolds, if you have realistic expectations about what your experience might involve. Based on my knowledge of adult learning theories, I use a lot of humor to encourage engagement and retention of the information. Classes take place from 6:30 p.m. – 9:00 p.m. These classes are smaller-sized, usually ranging from 6-10 couples. We discuss all aspects to best prepare you for the birth experience: Signs of Labor, Stages of Labor, Comfort & Coping Techniques, Interventions & Medications, Birth “Planning” and Decision-Making, Cesarean Birth and Postpartum. Beginning June 1st, 2019 my 4-week evening series will be taught only at OHSU or independently in the community. Please check the calendar for the schedule of these classes. If the evening series will not work for your schedule, you could attend a one-day class. These classes are usually much larger, and could have anywhere from 15-20+ couples and take place in an auditorium-style setting. All the same information is covered, but in a quicker and more condensed format. Classes run from 9:00 a.m. – 4:30 p.m. If you’re an experienced parent wanting a “refresher” or if you’ve taken other classes but would like to have some additional practice of tools to help you cope with contractions, this class is for you! Topics covered include: Massage, Breathing & Positions, the importance of The Mind-Body Connection and Birth, and the Three R’s: Relaxation, Rhythm and Ritual. Class happens at OHSU on Sundays 1:00 p.m. – 4:30 p.m. Please see the calendar for the schedule. I am also available to teach this class in the privacy of your own home. Please contact me directly to schedule. If you’re wanting more one-on-one instruction, we can discuss exactly what you’re looking for and I’ll come to you! I’m happy to teach a private class encompassing all the things you’d learn in the group class — in the privacy of your own home. Please contact me directly to discuss availability. Costs vary, depending on the amount of time we spend together. 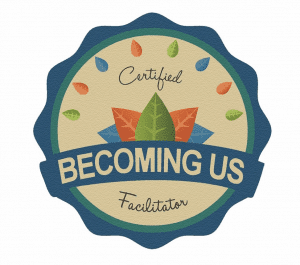 As a Certified Becoming Us Facilitator, I help create families that thrive. I’m honored to be teaching these group classes in two different tracts: Expectant Parents (BEFORE Baby Classes) and Experienced Parents (AFTER Baby Classes). The classes are based on the book, Becoming Us, by Author and Parenting Pioneer, Elly Taylor. Becoming a parent is a major life transition and 92% of couples report increased conflict in their relationship following the birth of their baby. 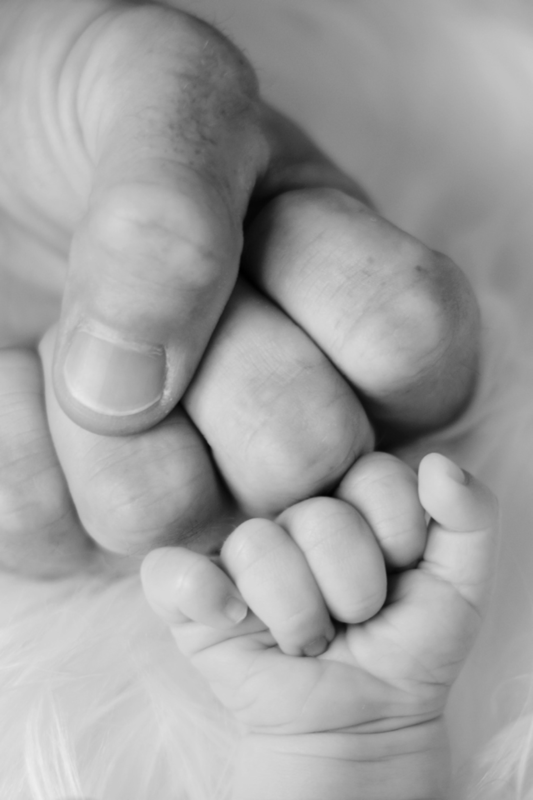 My Becoming Us class is designed to help you “baby proof” your relationship by learning how to identify the underlying causes of conflict and help prevent it from happening in the first place. The challenges that happen when you move from couple to family are common and normal. Let me help you navigate them so that instead of growing apart, you grow even closer together. While many couples benefit greatly from attending a Becoming Us class series, there are some couples who may find that additional one-on-one couples coaching sessions or just some extra help figuring out how to communicate with one another can help them make that transition from couple to family even easier. Whether you are new to this parenting journey, or you’ve been at it for a good, long while it can be helpful to have a guide work with you to create an individualized plan to make your couple relationship even stronger — and your parenting relationship even more joyful. Please contact me directly to discuss costs and set up a session plan. Don’t live in the Portland Metro Area? This is not an issue! I’ve had some very successful telephone and Skype Sessions with couples who are wanting to explore their experience of becoming parents with me virtually. I’ve helped them navigate the unique concerns that have come up for them during their pregnancy, birth and early postpartum parenting journey so that they can enjoy these experiences more completely. “There is a story that we hear as new moms: that we will be sleep-deprived shells of ourselves for at least the first year. That the first years of your little one’s life is about merely surviving, at least if you are doing a “good job.” And there is no manual on how to parent. But living that story begins to feel empty and left me trying to reconcile the pieces of my identity. Then, I talked with Barb. Her no-nonsense normalization of what is really going on mixed with the smart advice and deep understanding of the situation in which I found myself was refreshing, uplifting, and life-changing. I could still connect with my husband without fearing all he wanted was my “touched-out” body, I could still pursue my me-time without the mom guilt, I could be an amazing mom to an amazing little girl and not feel as though I had to spend every-waking-minute with her. Speaking with Barb helped to normalize the parts of becoming a family of three that no one talked about and certainly no one posted on Instagram. I came away with a new perspective, a renewed love for my husband and daughter, and less of that mom guilt. Most importantly, I came away with a plan to keep that perspective and love at the forefront of my mind and deal with the ugly guilt monster. Please contact me directly to discuss availability. Costs vary, depending on the amount of time we spend together. Whatever classes you choose, my knowledge base, real-life experience and passion for all things bellies, birth and babies can help you move from a place of fear or desire to control, to a place of excitement and self-confidence. I ended up having a c-section and you totally helped me through it… At first, I just said okay, especially since I was a little hazy from the pain drugs that I definitely wanted and pretty tired. I felt pretty sad at that moment. There are no words that can really surmount how much of an encouragement Barb has been to me and my husband. We enrolled in her birth class with no clue on how to prepare for the impending birth of our first born. She presented the material in such a captivating manner that even inspired my husband to attend the class on one occasion in my absence. From day 1 of that class, Barb appeared to be a natural at delivering child birth guidance to expecting couples. She was born to do this. She relays those concepts with so much passion that is fueled not only by her vast knowledge but also by her invaluable experience as a mother.After taking the class we felt so much at ease about the welcoming and integration of our newborn.